Most people would argue that Ryanair have passed the point of no return, with the brand becoming just as synonymous with poor customer service as they are cheap flights. 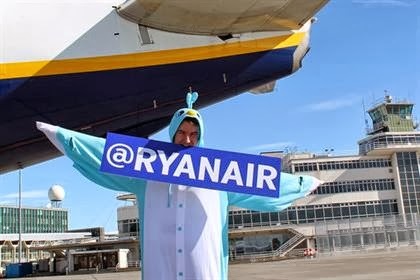 However the news that just 54% of passengers are happy with their service appears to have prompted them to take action, with the creation of the @Ryanair Twitter account. Ryanair have stated that it will be used to keep customers up to date with their news and developments in their services, however it will soon become a channel for disgruntled consumers to vent their frustrations. It will be extremely difficult for Ryanair to alter the perceptions of their brand, especially if they take their disinterested brand of customer service to their Twitter feed. But this is certainly a pigeon step in the right direction! What are your thoughts on this?